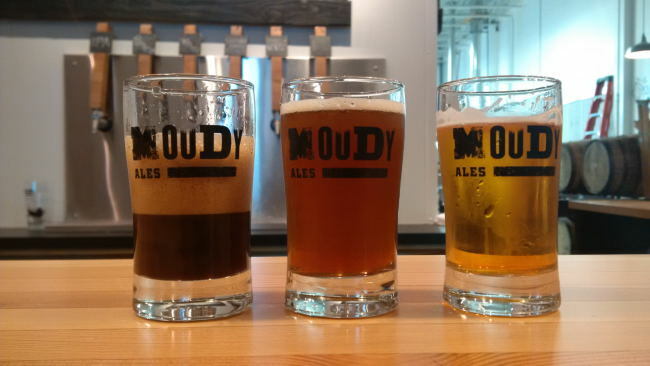 In June 2014 Moody Ales started to build their brewery. 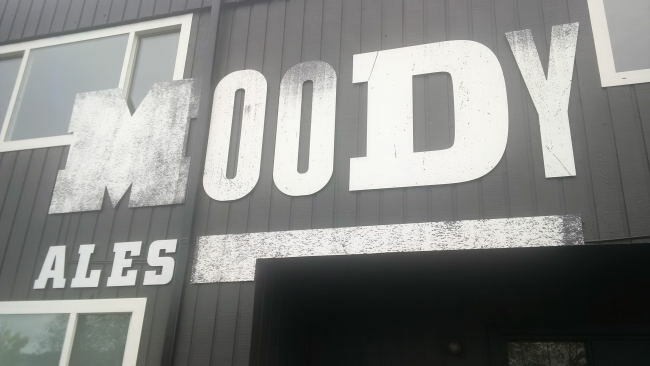 On October 16th 2014 they opened their doors to the public for the first time! The build out was pretty darn quick! When you walk through the front door of brewery you will find a beautiful tasting room. Wood topped bars and wood topped tables are quite stunning. A chalk board displays the beer that is currently on tap. They have custom growler fillers that use CO2 to fill with counter pressure. I love the touch they have added with a brewing process display on the one wall that shows the entire brewing process. 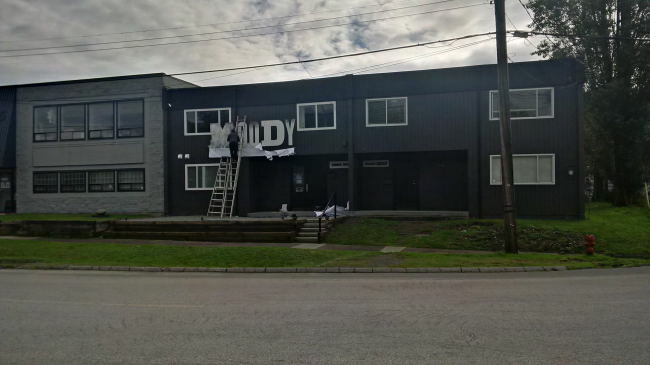 The brewery itself is small but has a ton of room for expansion. They have a small barrel aging program that I am sure will grow with time also. If you made it out to the grand opening they had a small amount of a test batch of barrel aged Russian Imperial Stout that was to die for! 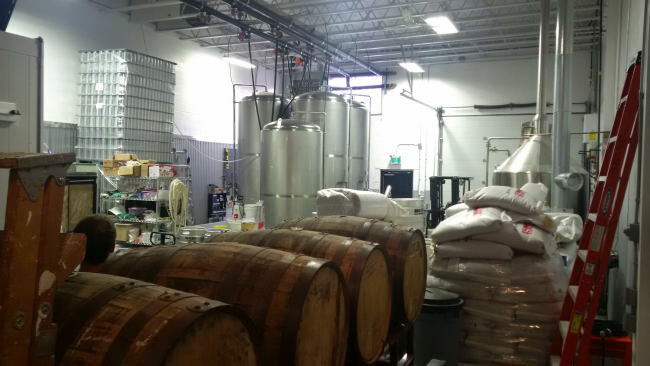 This brewery is already showing it can create some tasty brews but I think they are only breaking the surface of what their creativity can bring. Their test batches are proof of this! So head over to the brewery as soon as possible! Just a note that parking is found in behind the brewery but you have to enter the brewery at the front of the building. 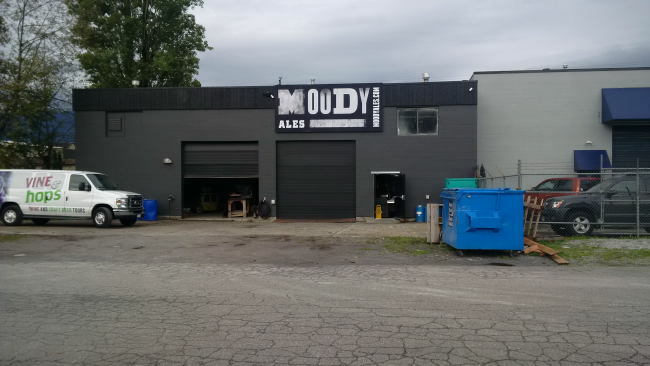 This entry was posted in Brewery and tagged bc, beer, brewery, canada, craft beer, craft brewery, grand opening, moody ales, port moody.